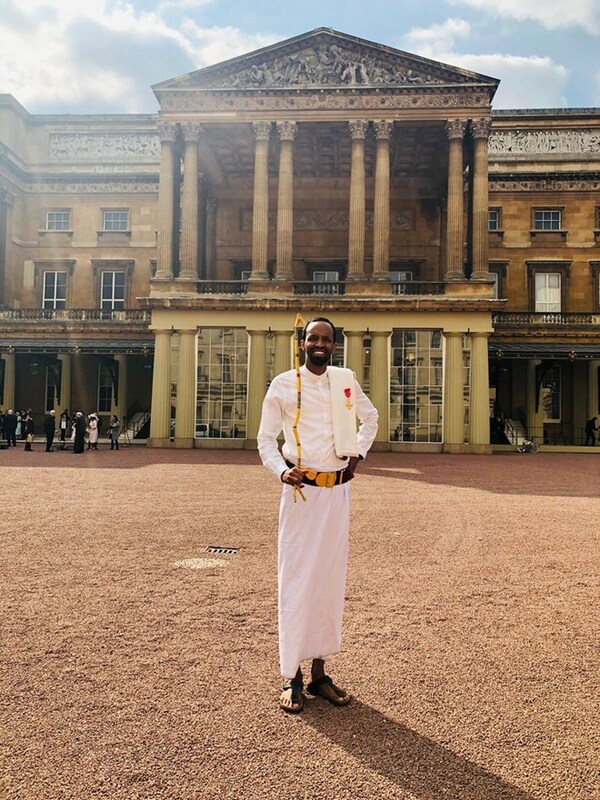 Mogadishu- The director of the London-based Anti-Tribalism Movement was honoured on Thursday by the British Royal Family for his work with the Somali community. Adam Matan was one of 1,148 individual across the kingdom that was honoured with the Order of the British Empire (OBE). The Most Excellent Order of the British Empire is a British order of chivalry, rewarding contributions to the arts and sciences, work with charitable and welfare organizations, and public service outside the civil service. The Anti-Tribalism Movement was established in 2010 in London by a group of young British-Somalis, including Adam Matan, who wanted to fight clan-based discrimination both in the U.K and in Somalia. Since then it has ballooned into an international force with thousands of members all over the world that endeavour to combat prejudice, tribalism, and violence around the world. In a statement sent to the press, Mr. Matan was described as hardworking and passionate which attracted the attention of the queen. "The Queen recognized Adam for his tireless work for the Somali community in the UK and improved relationship between UK and Somalia governments which he played an integral part," read the statement. Donning a traditional Somali outfit, Matan accepted his award from Prince William. Tottenham Hotspur striker and English national team captain Harry Kane was honoured in the same ceremony as was Gareth Southgate, manager of the England national team. In the past, other Somali's have been honoured by the Queen. However, Matan is the first to be awarded the OBE. In 2017, four-time Olympic champion Mo Farah officially received his knighthood from the Queen and thus was dubbed Sir Mohamed "Mo" Muktar Jama Farah, CBE. Matan says he will continue to work with the community on resolving the wide-ranging issues facing Somalis in Britain and the motherland.